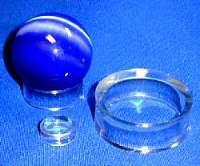 The shiva lingam gemstone sphere is polished to perfection. Shiva Lingham resonates with energies of all the elements - Earth, Air, Fire and Water. 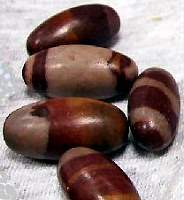 Shiva lingam boosts vitality, enhances inner transformation. It will help Break up old patterns and open the path for new life , to help feel unity, even during times of separation. Composed of Crypto Crystalline Quartz, of all the stones found on earth, Shiva Lingams are reputed to have the highest frequency. 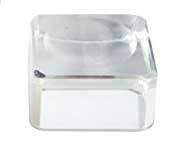 They emanate a vibration that will purify your sacred space or home. The Shiva Lingam is one of the most sacred icons of the ancient as well as the modern world. 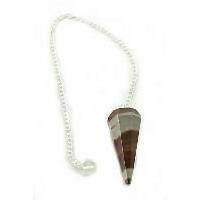 Healers use shiva lingams to treat impotence, infertility, strengthen and balance the whole body. The Sacred Stone relates to the heart chakra and to the manifestation of the love energy that resides in all of us. The Lingam also represents the harmony of balance of the soul that is maintained within the balance of the Universe. Shiva Lingam charges the entire chakra system and activate kundalini energies.